Practical PD's “STEM Success with Digital Technologies” workshops are interactive, thought-provoking, hands-on incorporating the STEM / STEAM subject areas which provide teachers with a great resource to take away and immediately implement into their education environment. The teachers create highly valuable practical tools to use themselves and demonstrate to other staff and the students so their educational environment is enriched. Our teacher trained consultant explores the WHYs?, WHATs? and HOWs? specifically customised to the participants' needs and wants in 3 sessions. 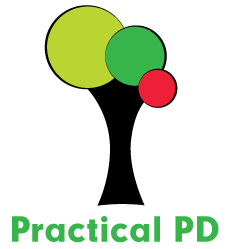 Practical PD understands the importance of providing professional development that can have an immediate effect on student learning. Our consultant will work closely with participants during this session to ensure teachers have a detailed program, well-planned lessons and great confidence to ensure success when they get back to their school. Your school leaders will love that participants take back to their environment a program that can be implemented immediately and benefit the students and other teaching staff. Participants will also take home technology provided on the day to assist with their program implementation. "This Professional Learning was like a breath of fresh air. The whole session was inspiring and engaging. Being able to participate in a Professional Learning workshop like this, presented by someone with such a diverse background and incredible knowledge was amazing! " "As an accredited computer consultant coming back again into mainstream education after a lapse of 4 years, the workshop was refreshing and highly informative. The presenter's professional and honest approach to detail was outstanding, and also as the presenter have first hand experience being in the ICT industry before. Recommended and great to build networks!" For more information and bookings click here!